Daar waar het niet om fietskaarten gaat is dit het beste alternatief. Duideljkkaart beeld, goede schaal en hoogtelijnen. 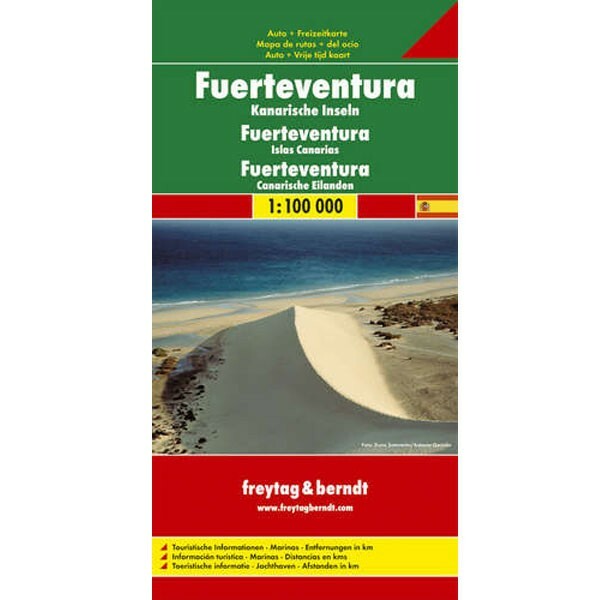 Fuerteventura at 1:100,000 on a map from Freytag & Berndt with icons highlighting numerous places of interest and recreational facilities including campsites. 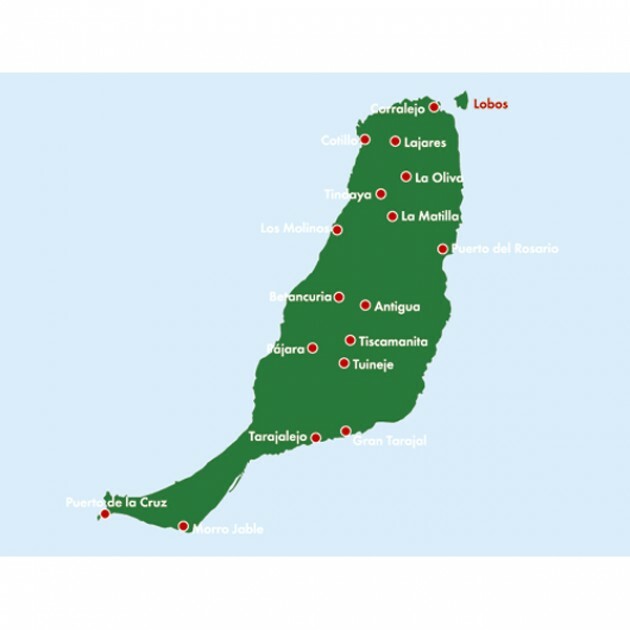 The island’s topography is well presented by relief shading with spot heights, names of peaks and other geographical features, and boundaries of protected areas. The map highlights scenic roads and gives driving distances on main routes. Large icons clearly mark various places of interest, including campsites, beaches, viewpoints, cultural and historical sites, golf courses, etc. The map has no geographical coordinates and is not indexed. Map legend includes English.